April 24-25 at the South Town Expo Center in Salt Lake City, Utah. 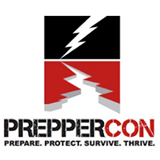 Sure to be the coolest prepper event in the country! Don't miss it! I'll be there! Should you use your gun to defend a stranger?